Shackler's Revenge, the Guns N' Roses track set to feature on Chinese Democracy and in the Rock Band 2 videogame in September, has been leaked online. 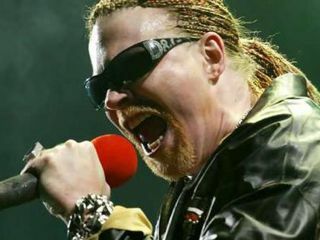 Shackler's Revenge certainly bears little resemblance to the GN'R of old, with multi-layered tracks of Axl Rose's vocals and industrial flavours. There is also what sounds to our ears like a characteristically barking mad Buckethead guitar solo at 2:16. We'd advise clicking this link right now and checking it out before it inevitably gets taken down. What do you think? Is it worth the wait?